The July 1948, cover of Butterick Fashion News was still introducing a new product: “Special” patterns for shorter women. I happen to have a group of Butterick Fashion News Flyers from 1948. For several months, “Sized to Height” patterns, or “Special Patterns,” were featured as an innovation which still needed some explanation. The February issue explained the concept several times. Front cover of Butterick Fashion News, Feb. 1948. The suit on the left, No. 4422, was available in both short and standard pattern sizes. Special patterns for shorter women, information box. Cover of Butterick Fashion News, February 1948. Further explanation and examples appeared on facing pages 2 and 3. Pages 2 & 3 featured patterns which could be ordered in sizes for women under 5′ 5″. BFN, Feb. 1948. If the pattern was available in both standard and shorter sizes, customers could order the shorter one by putting an “S” after the pattern number. Page 3, BFN, Feb. 1948. These patterns for shorter women were described on (facing) page 2. Short pattern purchasing information, bottom of page 2, BFN, Feb. 1948. Special Length patterns were shortened from the waist up, and were not aimed at stout or older women. (If the skirts were also proportionally shortened, Butterick didn’t mention it here.) Some of these patterns were illustrated twice in the same issue, once with the number followed by “S” and once as standard sized patterns. Starred numbers were available in both versions. Butterick 4424 pattern for a suit with fitted jacket, available in standard or short versions. Feb. 1948. Butterick 4422; its hip-widening peplum shows “New Look” influence. Feb. 1948. More “New Look” influence. Both pink dresses are pattern 4419, in standard and shorter sizes. (The model looks long-waisted in both illustrations.) Center, Butterick 4431; perhaps its complex bodice design made it unsuitable for a shorter version. I don’t know why dresses for larger women, like those on page six, below, were only aimed at women over 5′ 5″ in 1948. Dresses for mature or large women, available to size 46. (The gray one was available up to size 50.) Shorter versions of these patterns were apparently not available. Feb. 1948. I find them as late as Feb. 1940 (Butterick 8790) in my very limited collection. I haven’t found that phrase in my 1948 flyers, however. Page 7, Butterick Fashion News, Feb. 1948. A Star next to the number meant that the pattern could be ordered in short or standard versions. Text, bottom of page 7. BFN Feb. 1948. Butterick Patterns for “Petite” women, Butterick News Flyer, July 1948. 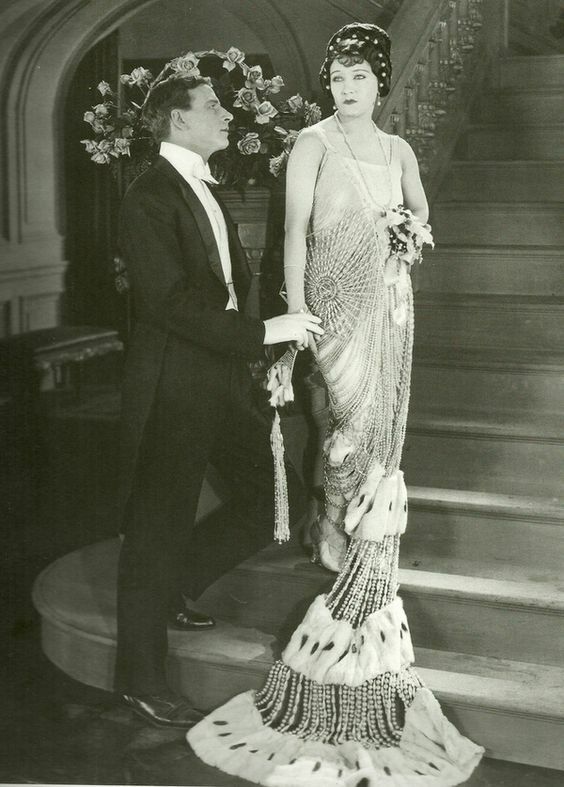 Incidentally, it seems incredible to me that for decades Butterick assumed its average customer was 5′ 5″ or over, even in the nineteen twenties, when some of the most glamorous women in Hollywood were tiny: Gloria Swanson was 5′ 1″. 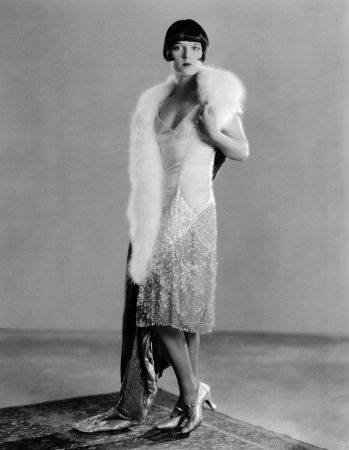 Clara Bow was 5′ 3 1/2″. “Little Mary” Pickford was just over five feet. Louise Brooks? 5′ 2″. 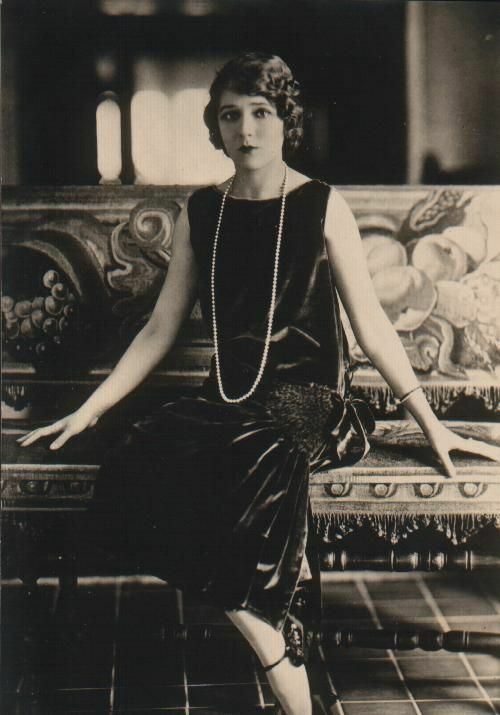 Pola Negri? Five feet exactly. 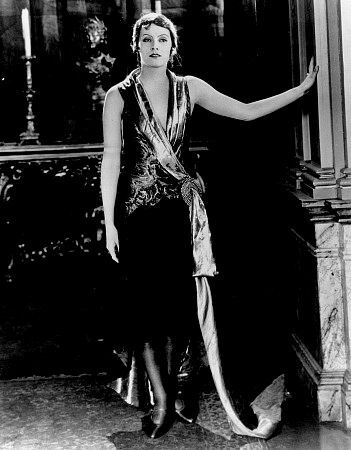 Greta Garbo was considered tall — and criticized for her wide hips and big feet — at five foot seven and a half. In the 1920’s Butterick patterns for “small women” were literally small — maximum bust about 37″ — when the normal pattern run fit sizes up to 44″ bust, with some patterns available up to size 52. 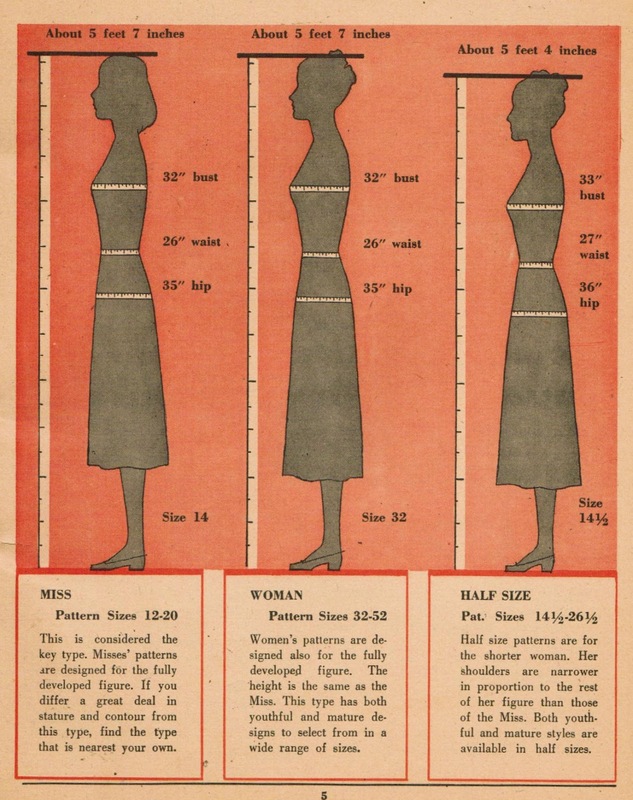 There is a great essay (with charts) about pattern sizing here; a chart from a very flawed government study shows that the average American woman was 5′ 3″ in 1937. After World War II, more statistics were available and led to more specialized pattern sizing. The excellent Midvale Cottage blog (which I just discovered) says that Butterick introduced half sizes (for women under 5′ 5″ who were shorter-waisted and larger in the waist and hip) in 1949. Click here for her history of 1940’s pattern sizing. I agree it is a mystery why there wasn’t more attention to shorter and wider women in the pattern industry. Maybe the makers assumed that women who sewed would have the skills to make alterations–but alterations on that scale are very complicated! Now I understand my grandma’s use of the term half sizes meaning plus sizes. Could never figure out where that came from, but she and her friends all used it. Especially charming was the use of the term “stout” to describe themselves.